Plötulopi is made from the fleece of Icelandic Sheep. 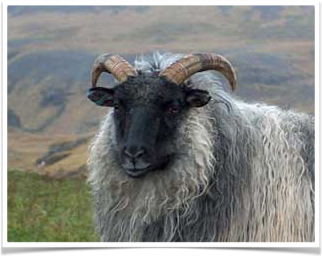 These are double-coated sheep with the long outercoat (tog), and the shorter, soft undercoat (thel) both used in Icelandic wool yarns; Lopi as an example. The two coats create a yarn with loft, warmth, and durability. 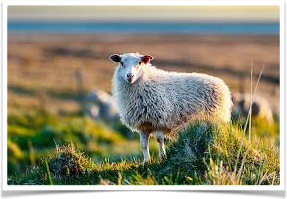 Istex sources its wool directly from the farmers in Iceland, and then processes it into yarn. 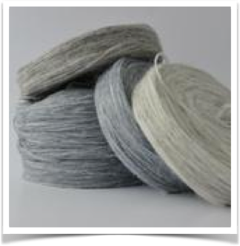 The wool scouring is done in the town of Blönduós and the spinning mill is in Mosfellsbaer, near Reykjavik. It is put up into plates, cakes, or wheels. I am knitting from plates which are approximately 100 grams and 300 metres each. The yarn holds together better when pulled from the outside of the plate, and straight up. It breaks often, but can easily be spliced back together, with a little spit and warm palms. 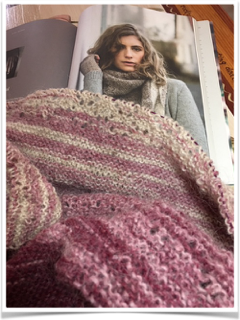 On Saturday students gathered here in the studio to cast on and work the first few sections of the beautiful Aito Shawl by Melody Hoffman. This is a two session course, with one month in between classes. Although we were tearing yarn, and spitting to splice ends together, all-in-all, knitting with Plotulopi is a peaceful experience. 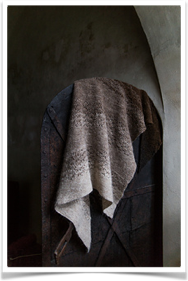 The shawl is designed to be worked in six shades that are gradually faded into each other. The spit-splicing makes it possible to continually interrupt one colour to insert the next one. This can be done randomly, but I wanted to experiment with math that slightly resembled a formula. Because the shawl is slowly getting wider while the colour changing is going on, there is no evidence of my formula playing out in any predictable way. I think it looks random but using math got the thinking out of my head and onto paper. This is my first version, beginning with a black heather, then burgundy, shades of pink, then beige, and finishing with white. Letting go and giving in to the light touch and gentle flow of unspun wool through my fingers, has felt soulful and nurturing. I am not prepared for it to end. Yes, you know where I’m going with this! I’ll start my second one, in blues, while the first one is soaking to be blocked. The shape is very wearable – a squared off elongated triangle – easy to wrap and secure. The fabric is airy and light, providing insulation and the warmth that only comes from rustic wools. Although the yarn is fragile and easily pulled apart, once it is laid into the fabric and knit, it is secure and well-connected – who doesn’t want that? This design makes use of all the Plotulopi good qualities, and is a great way to get to know what it can do. I love everything about it, including having it on my lap during our second pretend winter. This entry was posted on Tuesday, February 26th, 2019 at 9:53 pm	and is filed under Uncategorized.